Combining my love of beauty and fashion with my spiritual and enviromental beliefs is increasingly important to me. I want life to be fabulous but I know my soul needs as much nourishment as my skin and I see no reason why these worlds cant combine. The universe seems to agree with me, as last week I was invited to The Secret Warehouse in Liverpool by The Brow Club. 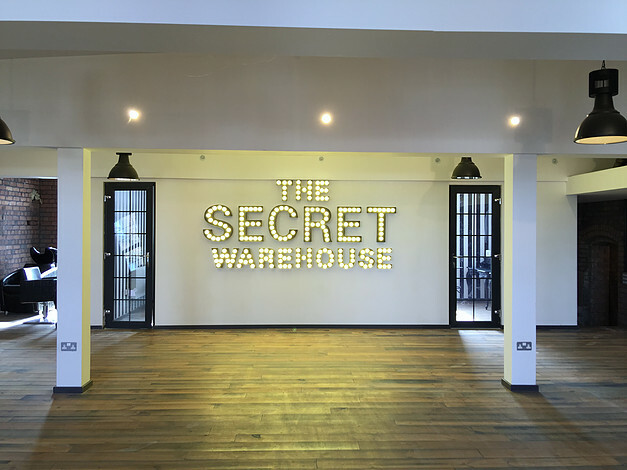 The Secret Warehouse is the first of its kind in the UK. A business centre based on the Law of Attraction it offers office space, Salon space, Training and Photoshoot facilities for the driven, talented and the awakened. All the Residents have one thing in common, they believe in the Law of Attraction and the power of positive thinking and aim to bring focused and passionate people together. Sounds pretty cool and they really take it seriously. None of the businesses involve advertise in the conventional way, networking through each other via social media and allowing clients to find them via word of mouth. It should be a business disaster but apparently its working out beautifully. The Secret Warehouse is slightly off the beaten track in (as the name suggests) a nondescript warehouse building. Once inside though its anything but ordinary. Quirky, cool and very stylish it has a wonderful serene energy with door after door offering treatments and therapies. The Brow Club itself is a lovely space. Wooden floors, union jack feature walls and chic furniture make it more art space than beauty salon-I loved it. Kate who is the owner of The Brow Club (and has the best brows herself, always a relief) greeted me with a glass of fizz and an enormous amount of enthusiasm for everything the Secret warehouse represents. She is also passionate about brows and is a brow recovery specalist so if your brows require a serious intervention she is the woman to see. Thankfully while my brows were looking a little unloved they weren't too awful so she treated me to her seven step Brow Club custom brow treatment. My brows were tinted, waxed, threaded, trimmed, tweezed and filled and looked beautiful by the time she had finished. I had a great chat with Kate about how brow shapes are becoming more natural and how she is doing more brushed up brows with a less arched shaped recently. I have fairly decent brows so she worked with my natural shape and made them look really good. A week later and they still look great. 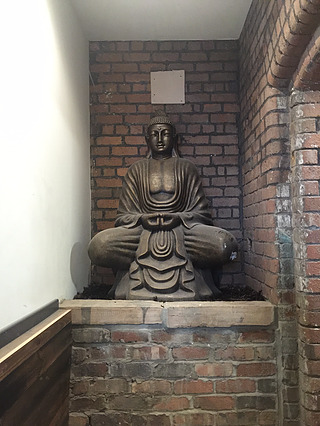 If you like your beauty treatments to involve more than simple vanity and require good vibes as well then check out The Secret Warehouse.